You may wish to designate the Chabad Jewish Center of S. Clemente as beneficiary of your retirement plan. When you designate your children or other heirs as beneficiaries, they receive only a small fraction of the plan's value since inherited assets of retirement plans (such as IRA's, 401k's, Keogh Plans and others) are subject to both estate and income tax. You would be making a substantial donation to the Center at a minimum cost to your family with plan assets that would be otherwised subject to tax. 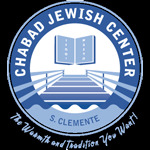 After your lifetime, or that of the designated life income beneficiary,the remainder interest will vest to the Chabad Jewish Center of S. Clemente. The Charitable Gift Annuity is an agreement between you and the Chabad Jewish Center of S. Clemente to pay you (or your designated beneficiary) a fixed annuity for life. You can enjoy significant tax benefits while providing a legacy to the Chabad Jewish Center of S. Clemente.